Read it! I love Rush and Gia’s story. I need Rebel Heart STAT!!! I feel like a broken record when it comes to Vi Keeland and Penelope Ward. 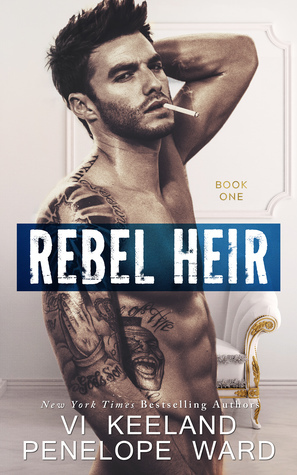 I’m always raving about their books; Rebel Heir is no different. Rush (I’m saying that with hearts in my eyes), don’t let his bad boy ways fool you. He’s got the biggest heart. Watching him flip is world upside down for something he was sure he didn’t want made my heart melt. Gia is as feisty as she is beautiful. She isn’t going to take anyone crap (that includes my man Rush’s crap). She knows what she wants, and what she worth. She won't let anything stand in her way. Rebel Heir had me turning the pages as fast as I could I didn't want to stop watching them fall in love. It was perfect!! The ending left my jaw on the floor!!! Shaking my head saying Nope..No.. No WAY!! !